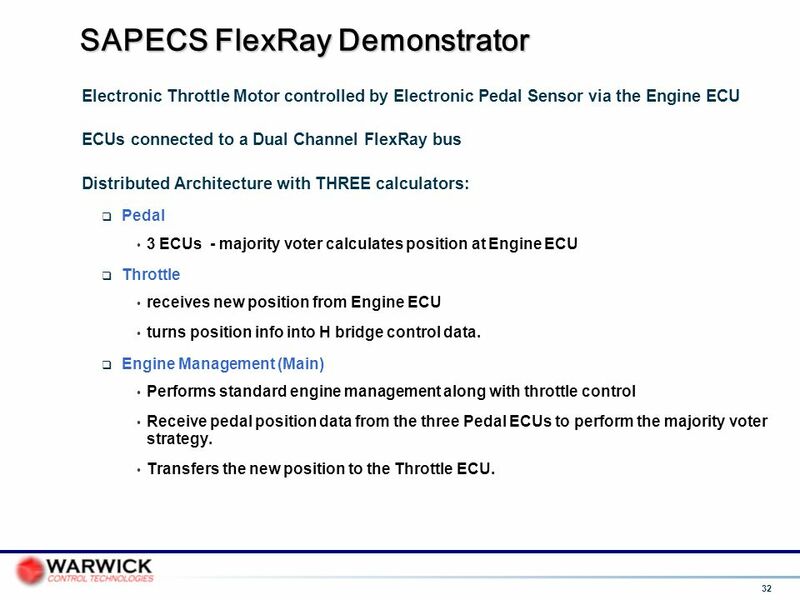 Electronic Throttle Motor controlled by Electronic Pedal Sensor via the Engine ECU ECUs connected to a Dual Channel FlexRay bus Distributed Architecture with THREE calculators: Pedal 3 ECUs - majority voter calculates position at Engine ECU Throttle receives new position from Engine ECU turns position info into H bridge control data. 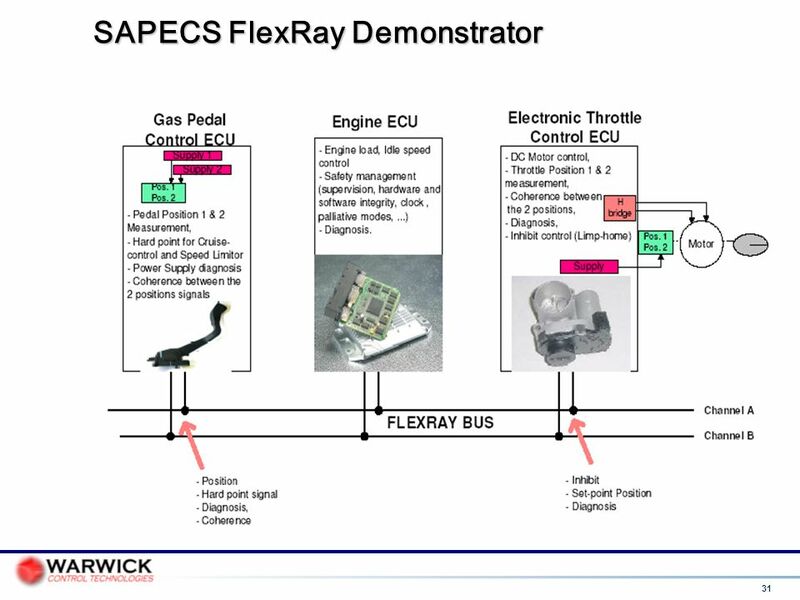 Engine Management (Main)‏ Performs standard engine management along with throttle control Receive pedal position data from the three Pedal ECUs to perform the majority voter strategy. 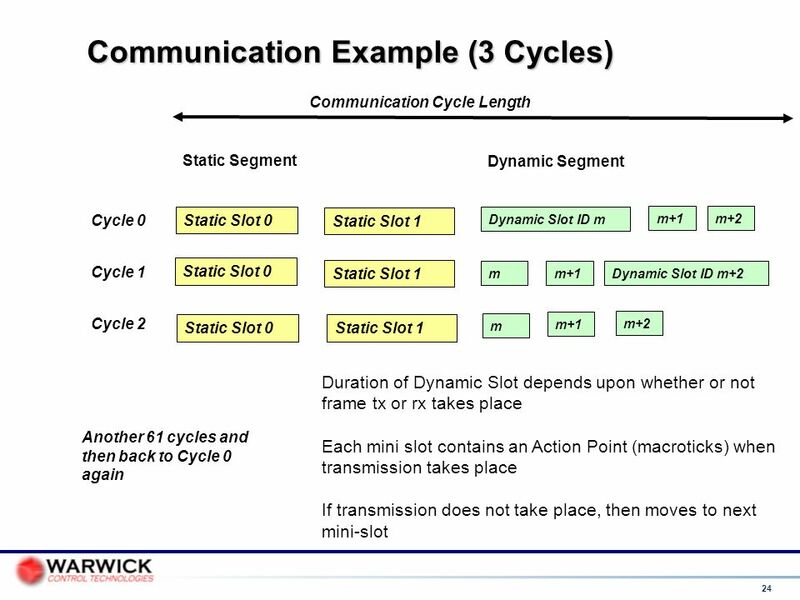 Transfers the new position to the Throttle ECU. 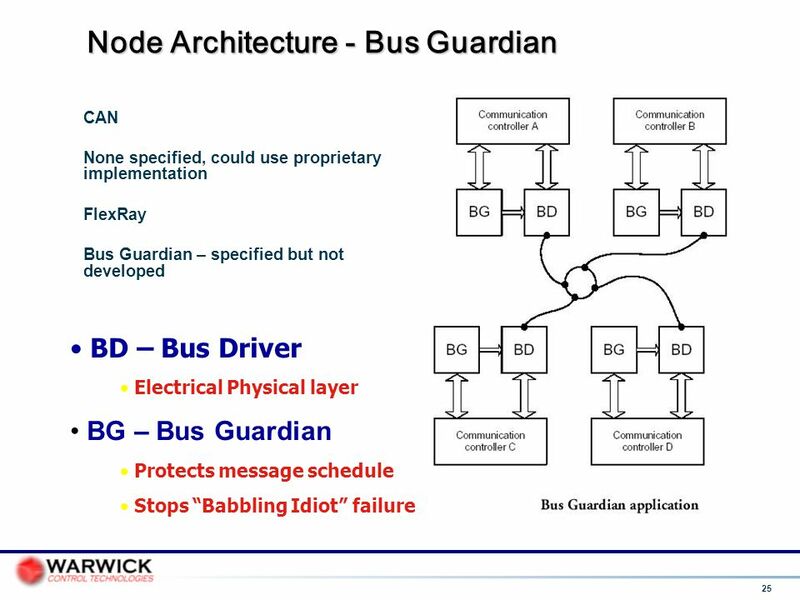 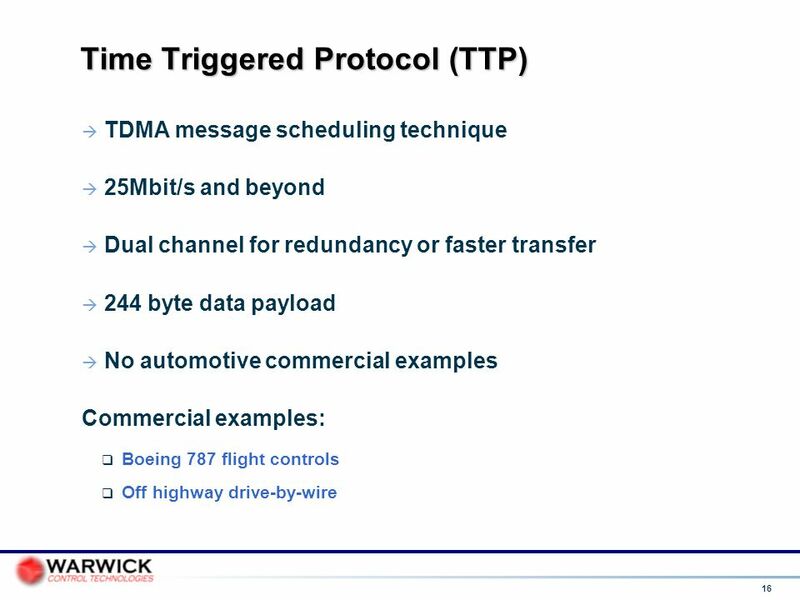 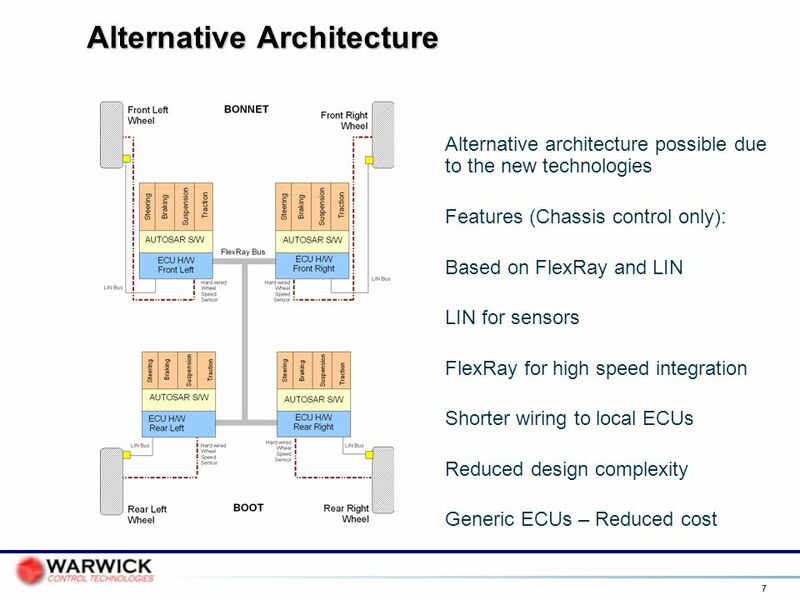 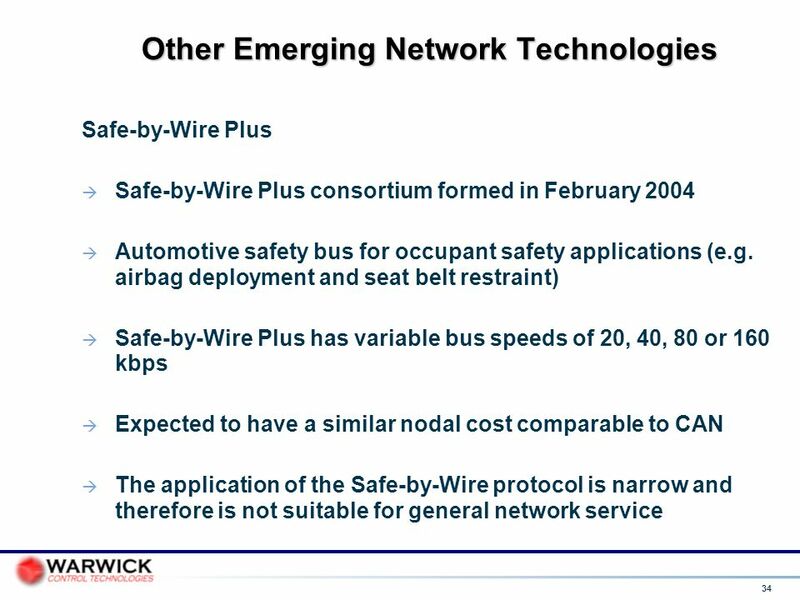 original aim: reduction wiring harness complexity, size and weight However, successful adoption has allowed integration of many more ECUs Led to more wiring, more CAN buses, more gateways etc. 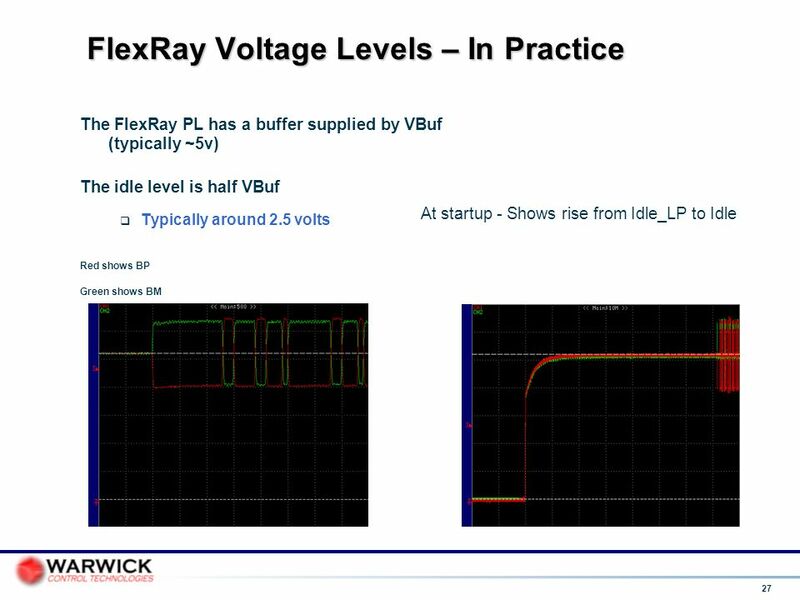 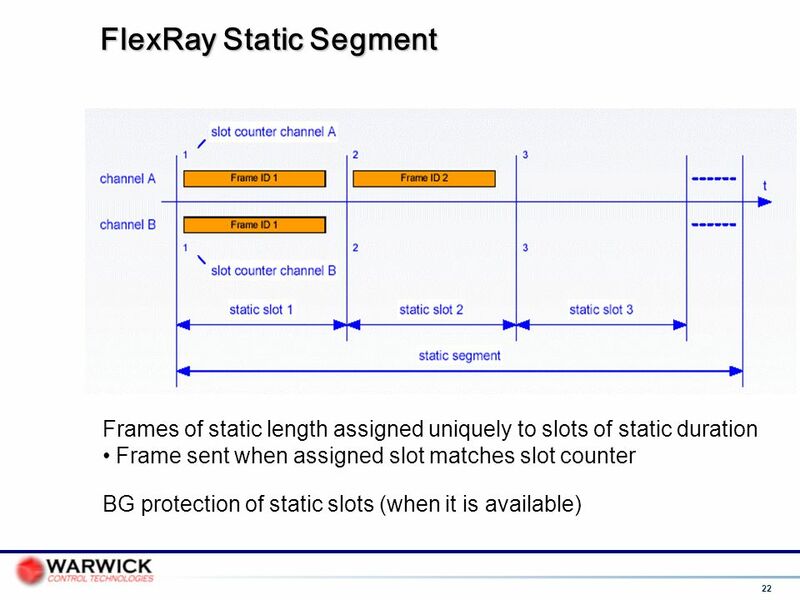 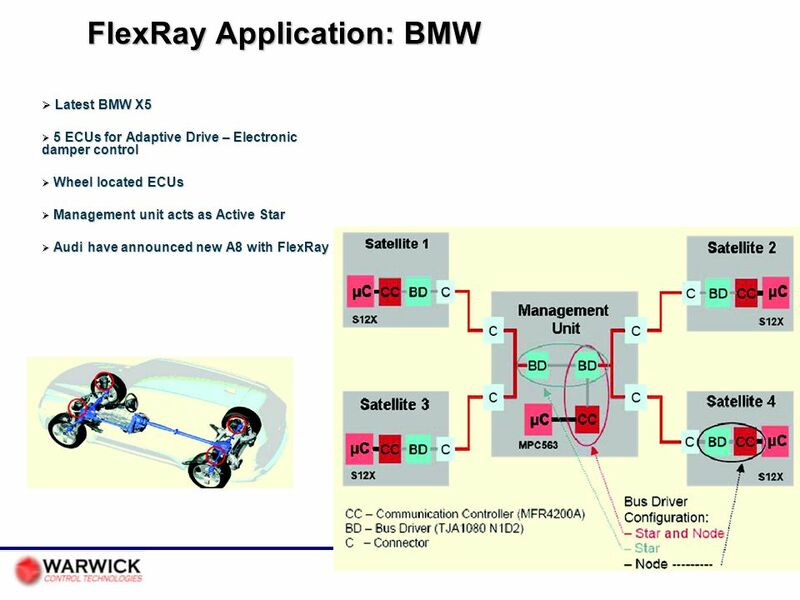 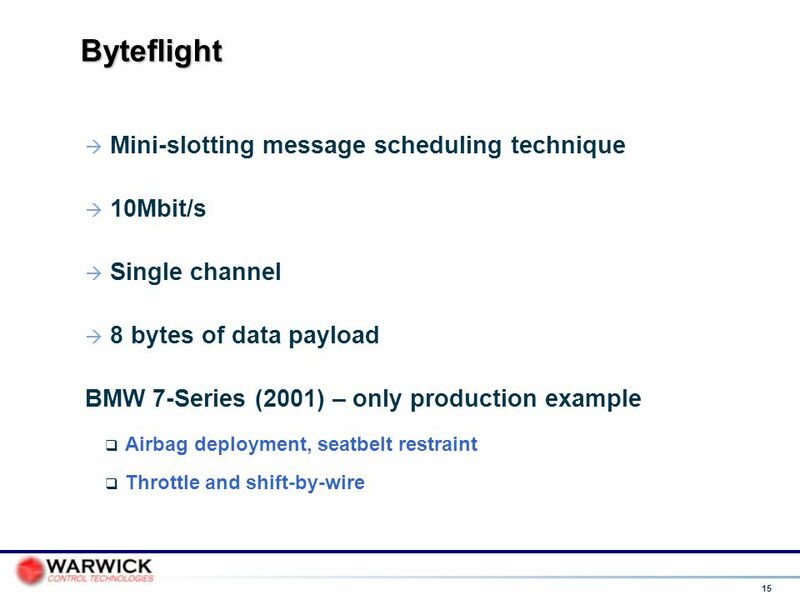 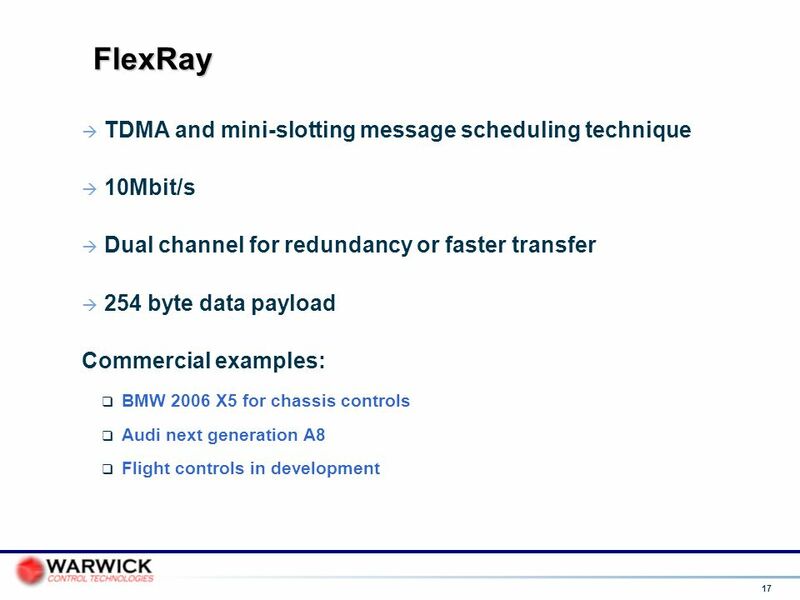 FlexRay off-the-shelf technology available for applications in which CAN performance has limitations and has been compared with CAN FlexRay implemented in the BMW X5 plus numerous other emerging applications Likely to become de-facto standard for X-by-Wire and future high speed networking Protocol features likely to evolve further Danger is that FlexRay will allow the growth in vehicle electronics to explode Extremely complex when compared to CAN!!!!!!!! 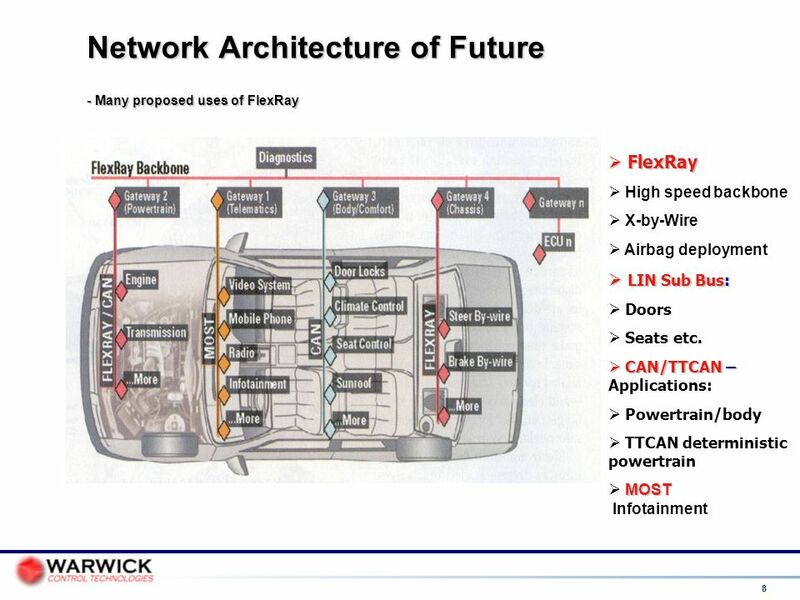 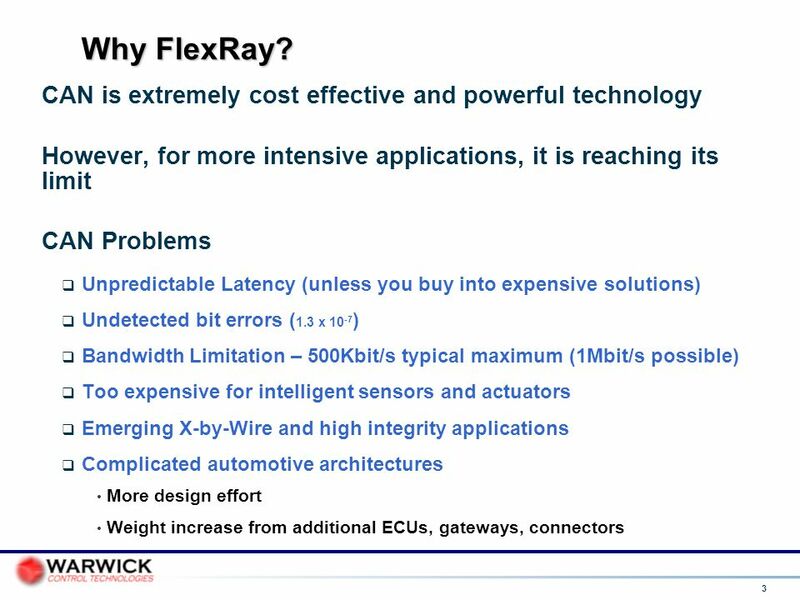 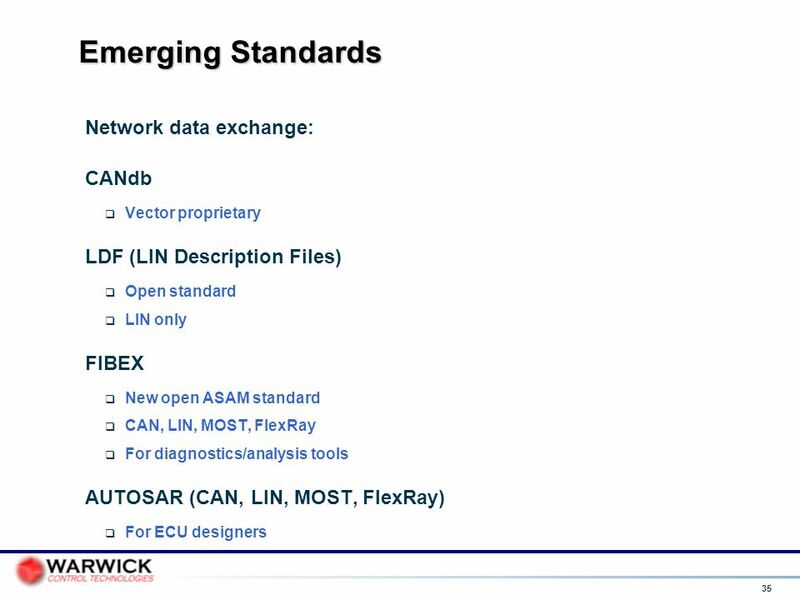 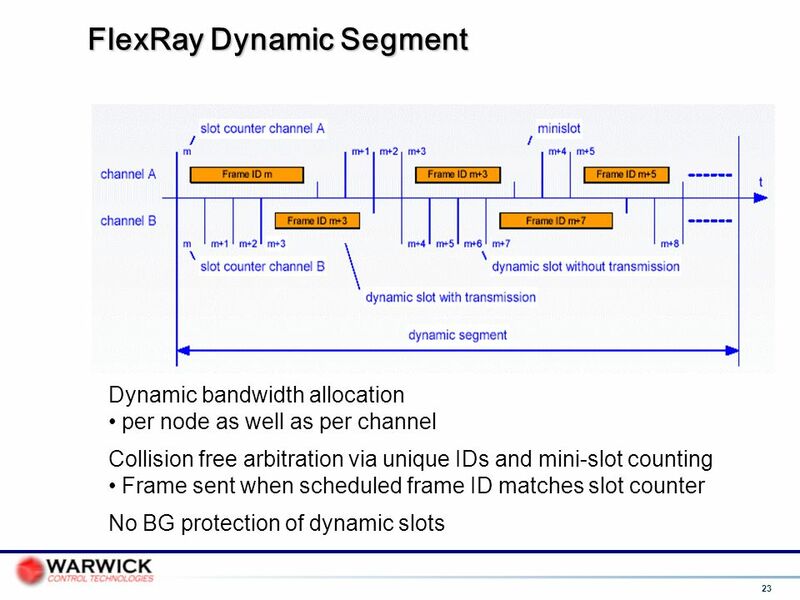 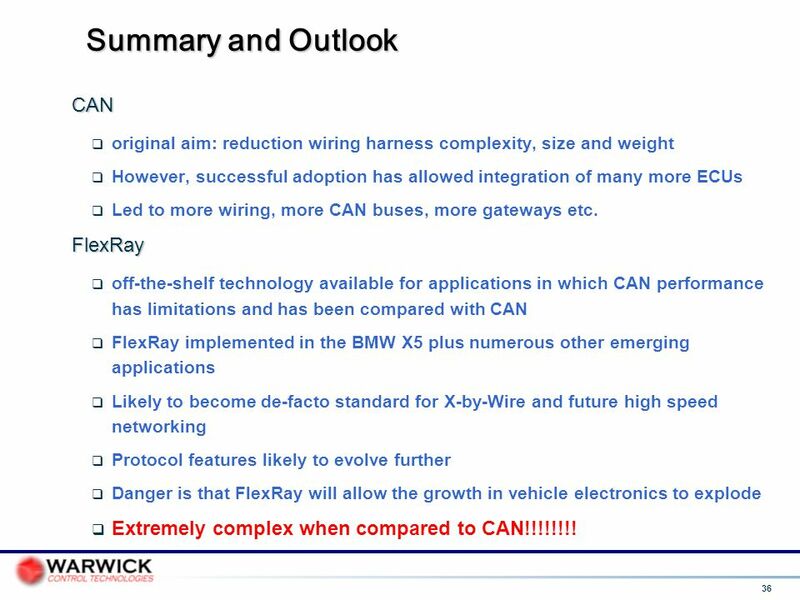 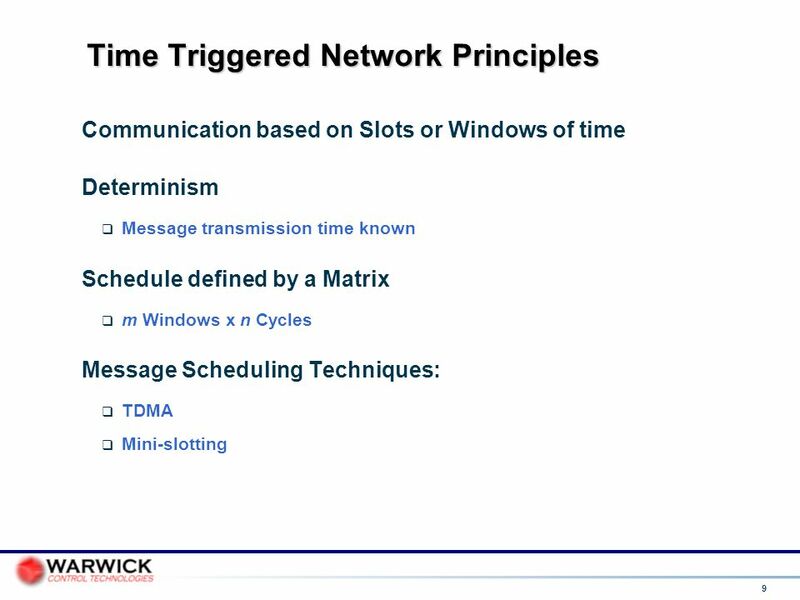 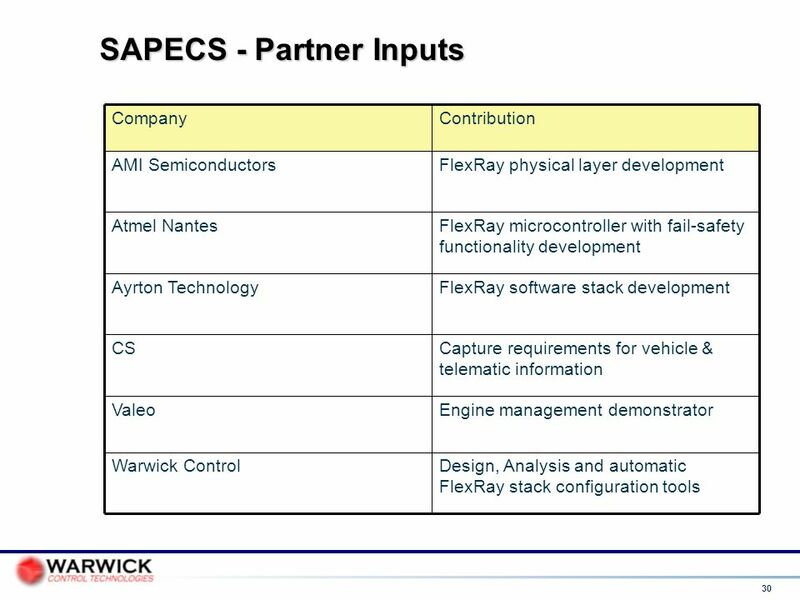 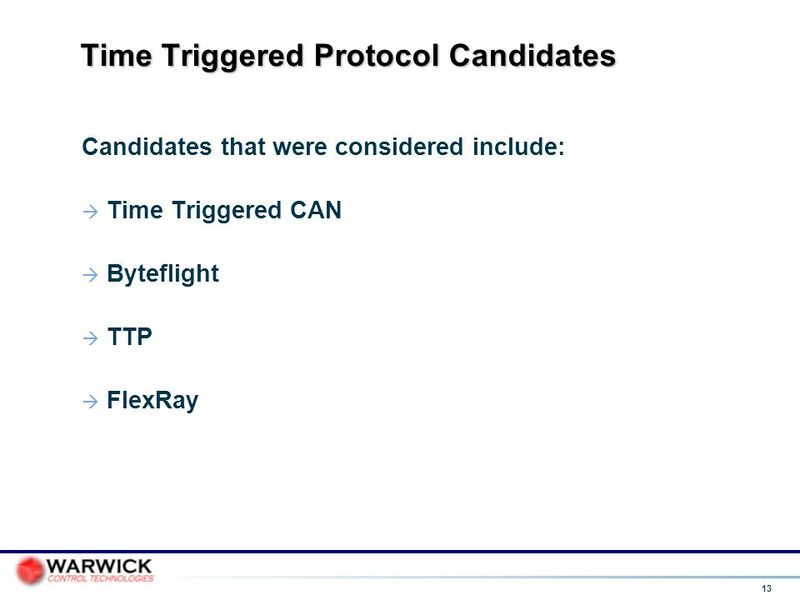 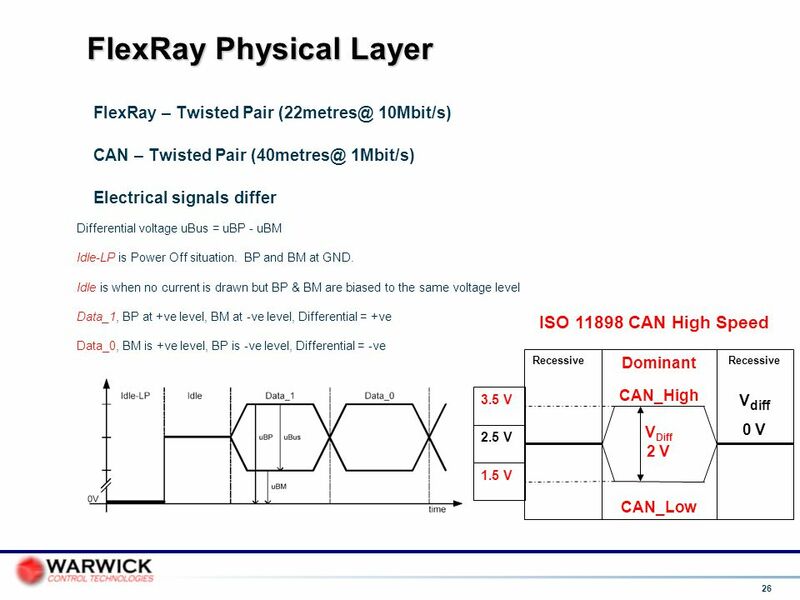 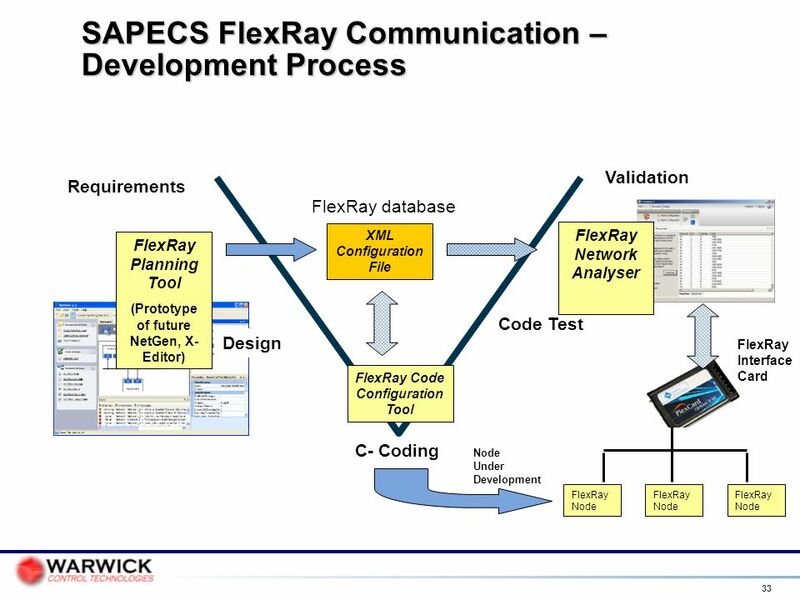 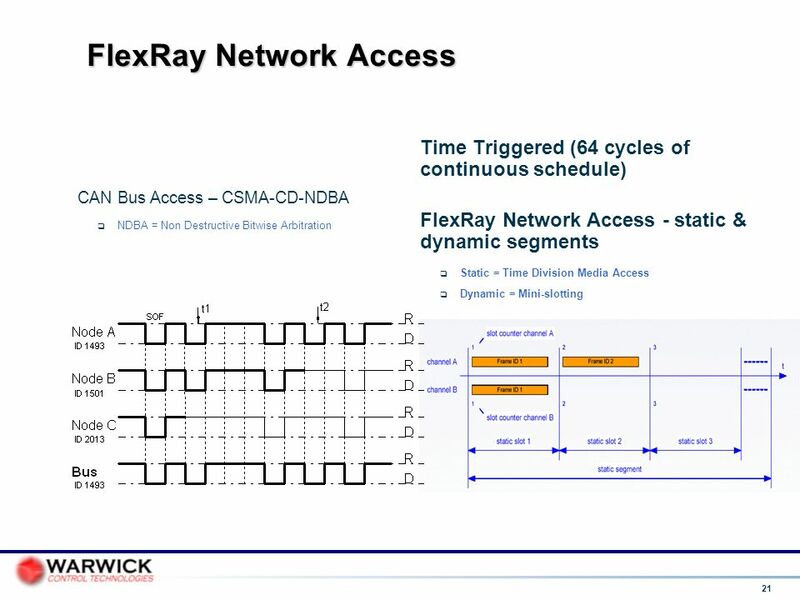 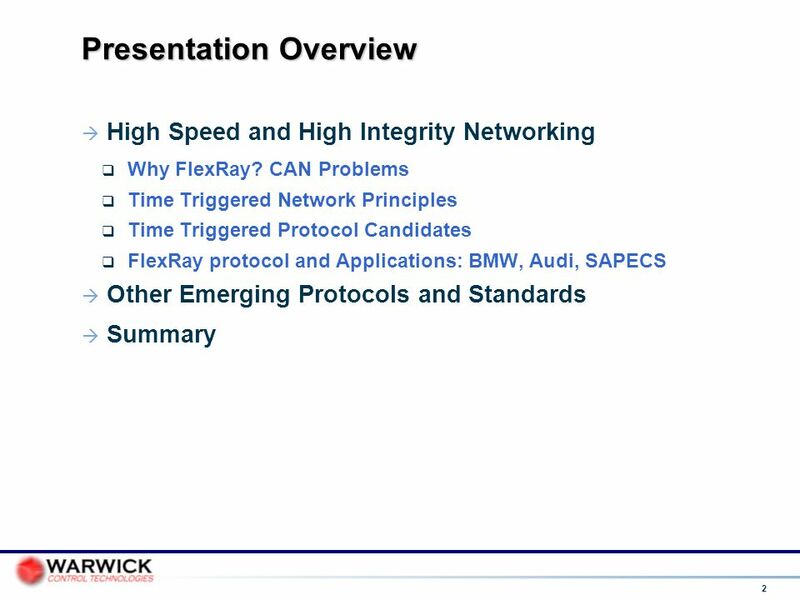 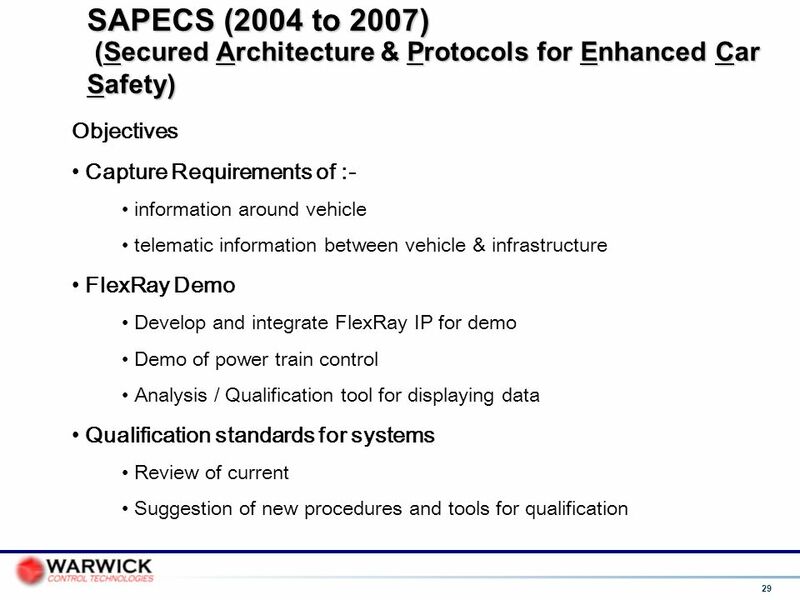 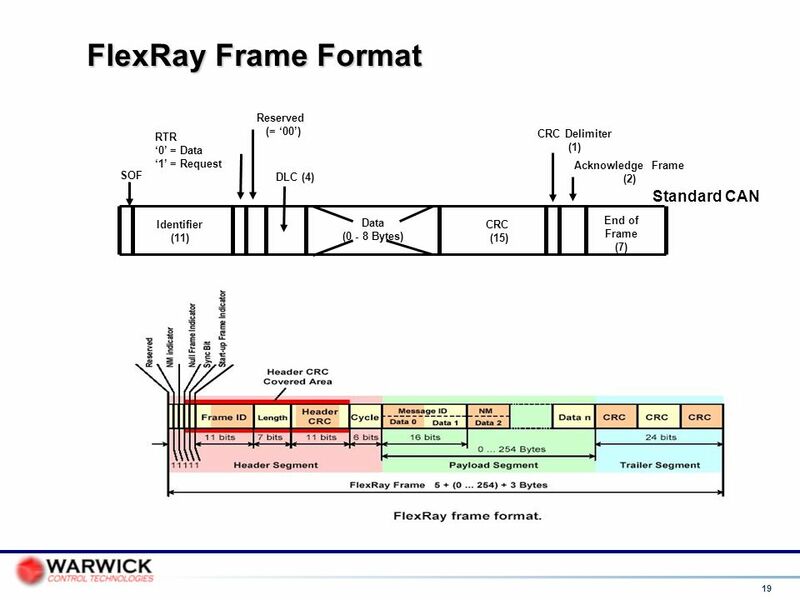 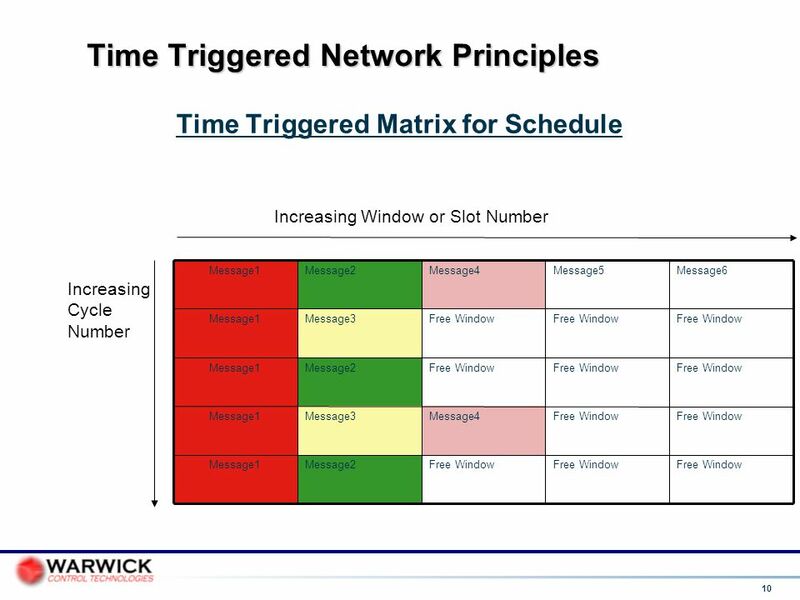 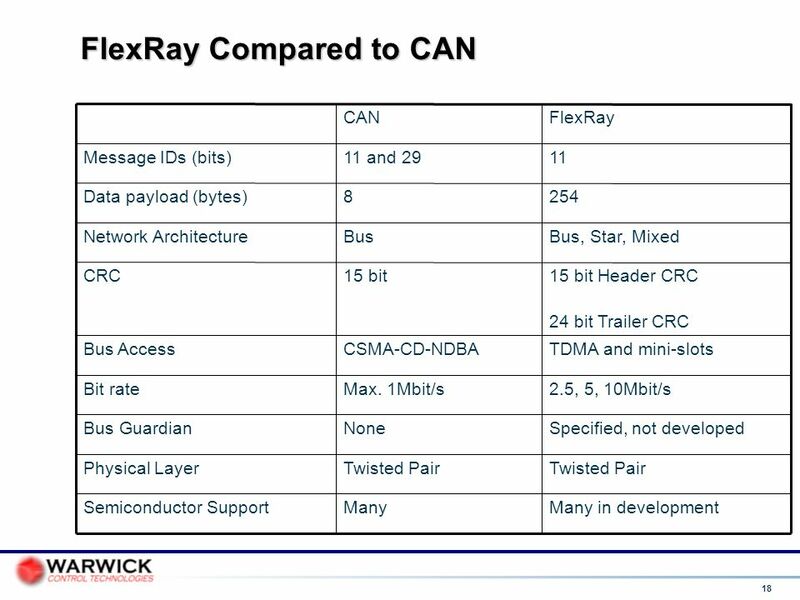 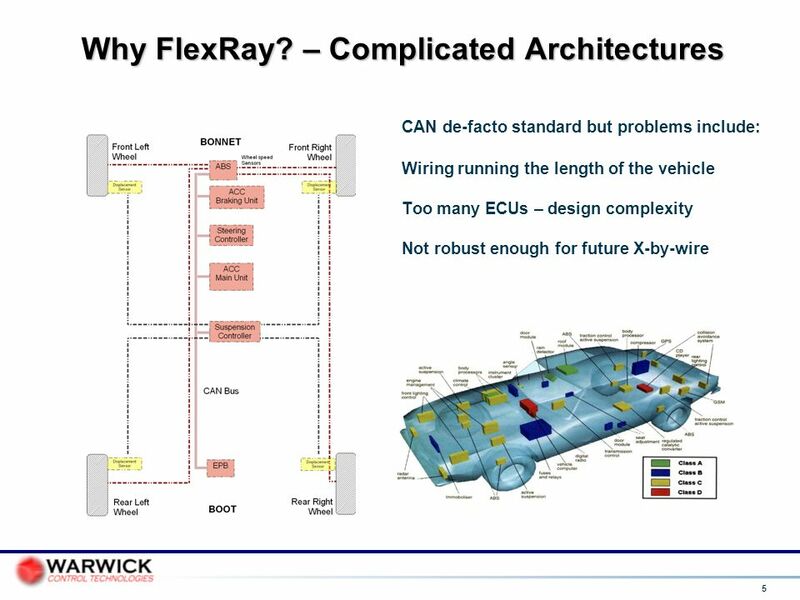 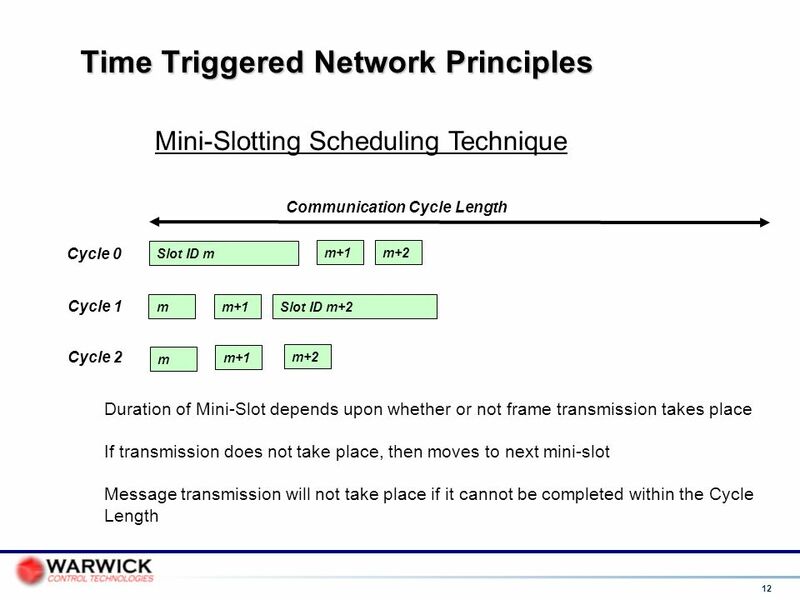 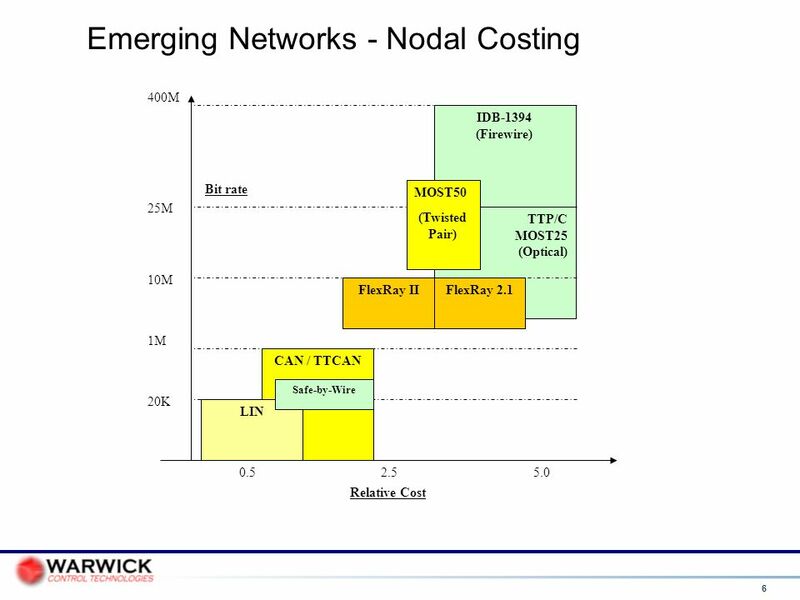 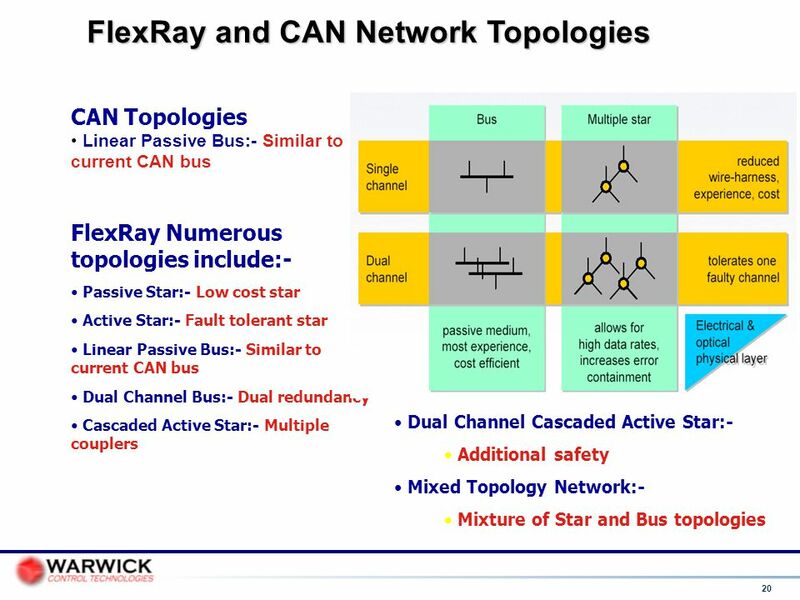 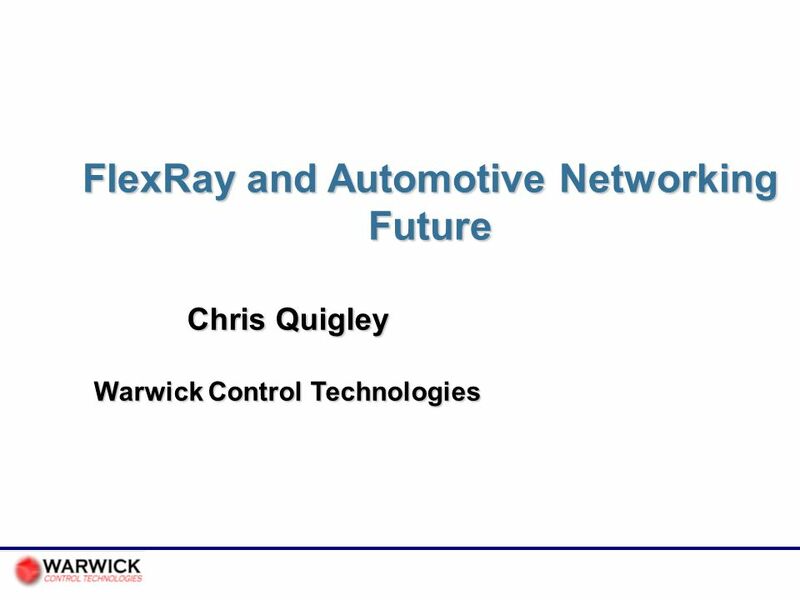 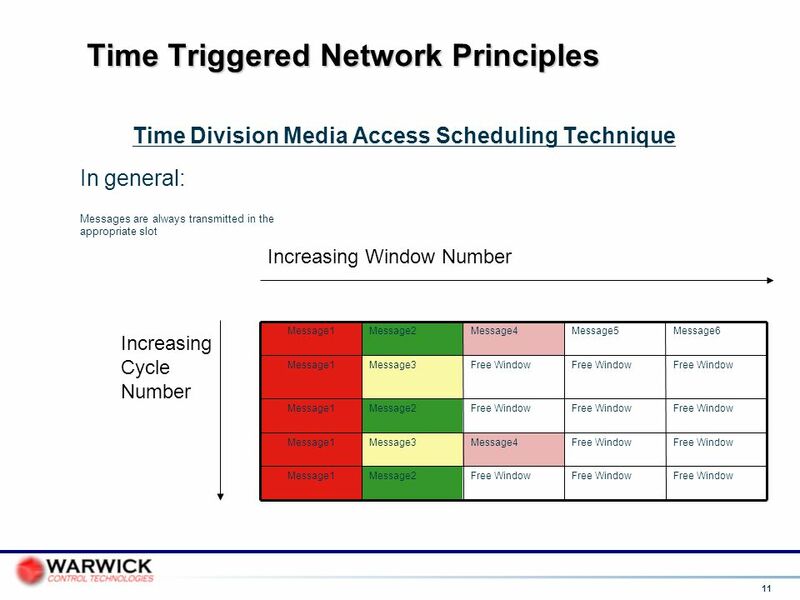 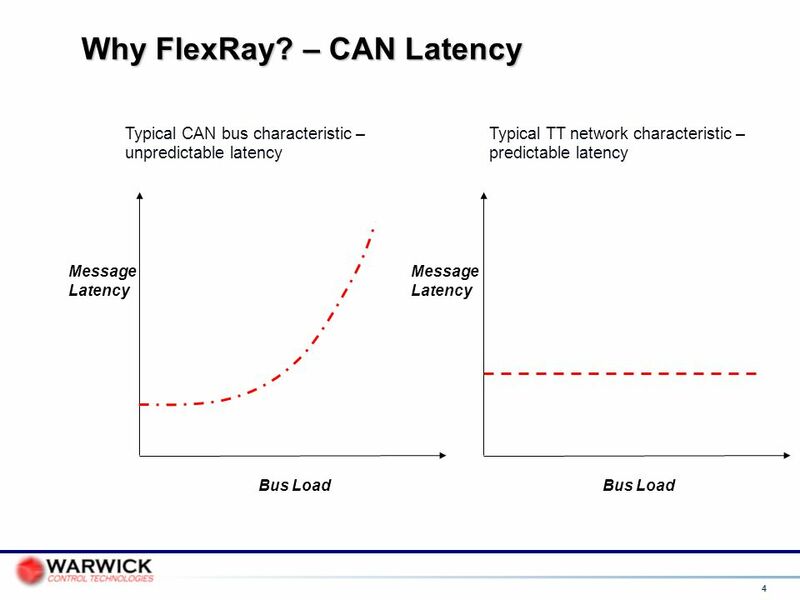 Download ppt "FlexRay and Automotive Networking Future"